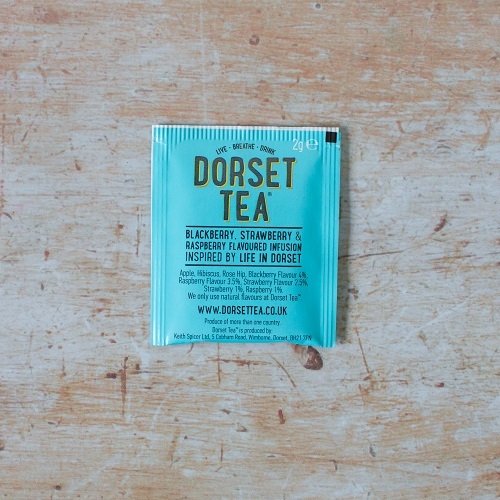 Juicy blackberry, sweet strawberry & soft raspberry flavours; a fruity natural tea delight inspired by Dorset's abundant hedgerows. Pack contains 20 tea sachets, total weight 40gms. Apple, Hibiscus, Rose Hip, Blackberry Flavour 4%, Raspberry Flavour 3.5%, Strawberry Flavour 2.5%, Strawberry 1%, Raspberry 1%. Just follow these 3 simple steps for the perfect Dorset fruit infusion. Infuse with freshly boiled water for 3-5 minutes. 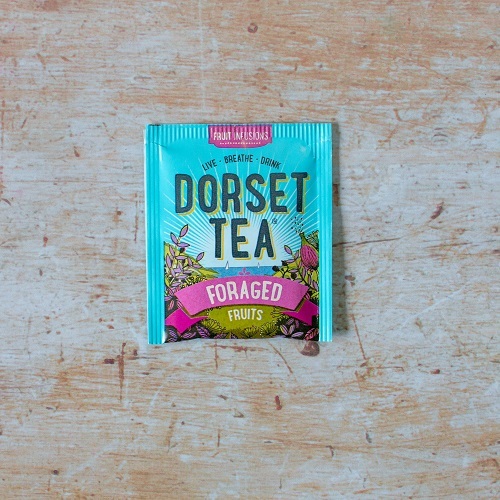 I discovered your Foraged Fruits tea in my local chip shop/cafe in East Cowes on the Isle of Wight. It's the most delicious tea I have ever tasted in my life, especially when I add a little honey to it. I hope you never stop making it !